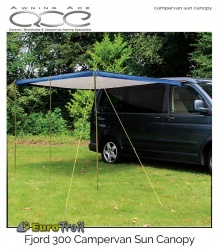 New to our range the EuroTrail Fjord Campervan Sun Canopy is designed for bus type campervans like the Volkswagen T3, VW T4, VW T5, Volkswagen Transporter, Volkswagen California as well as the Mazda Bongo, Friendee, Vauxhall Vivaro, Renault Trafic, Renault Vito and Ford Transit conversions. 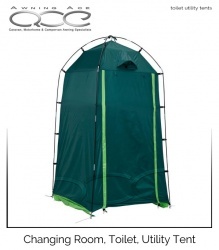 Ideal lightweight windbreak for the beach, garden or campsite, these windbreaks are an essential addition to any camping kit. 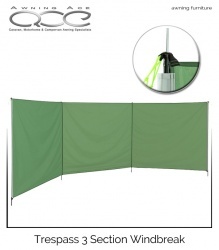 Excellent windbreak including steel poles and guylines - simple to pitch. 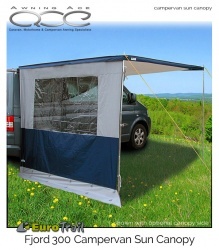 Perfect for when you are camping and want that extra bit of privacy when you are getting changed. 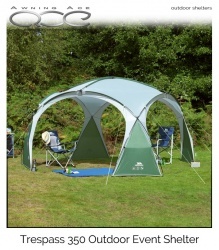 The changing tent is easy to put up and take down and is a great investment for those family holidays.